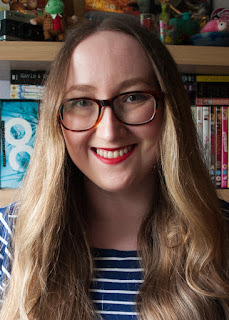 Anastasia Gammon: The Hairy Bikers' Polverones. 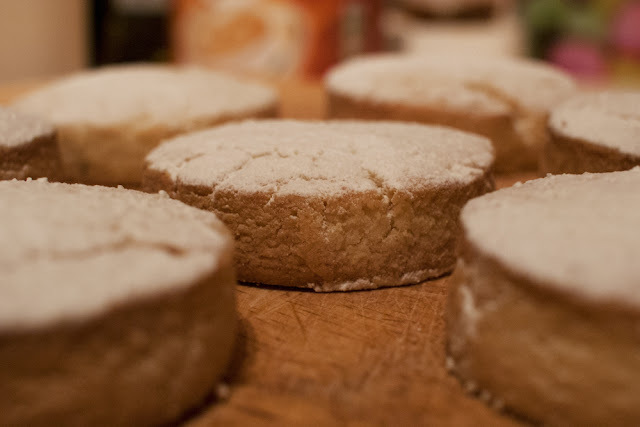 According to the little bit of online research I've done about these biscuits, the correct spelling is actually 'polvorónes' but since this recipe is from The Hairy Bikers' Big Book of Baking, I will abide by the Bikers' spelling. 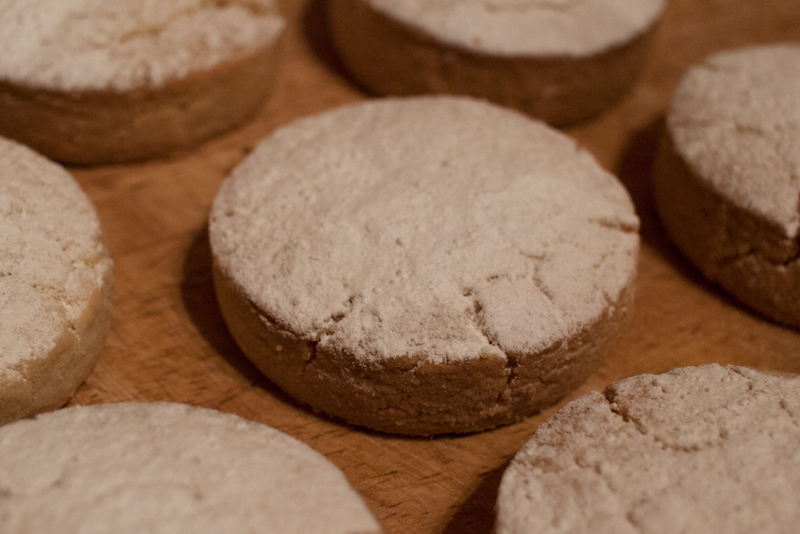 Polverones are a Spanish almond biscuit, similar to shortbread in texture, that are apparently very popular in Spain at Christmas time, which is exactly why I chose them! This holiday season I wanted to make something new and specifically I wanted to make something European. Maybe it's my own tiny backlash against the mood of this last year or maybe it's just because Christmas always makes me think of beautiful European treats and Christmas markets. 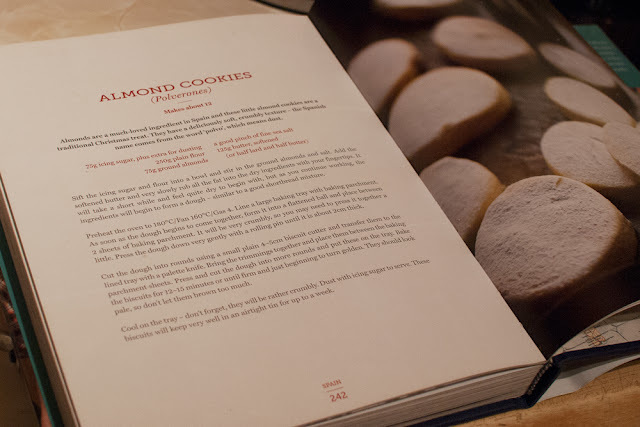 Either way, I grabbed my copy of The Hairy Bikers' Big Book of Baking, full of recipes from all over Europe, and looked for some Christmas biscuits. 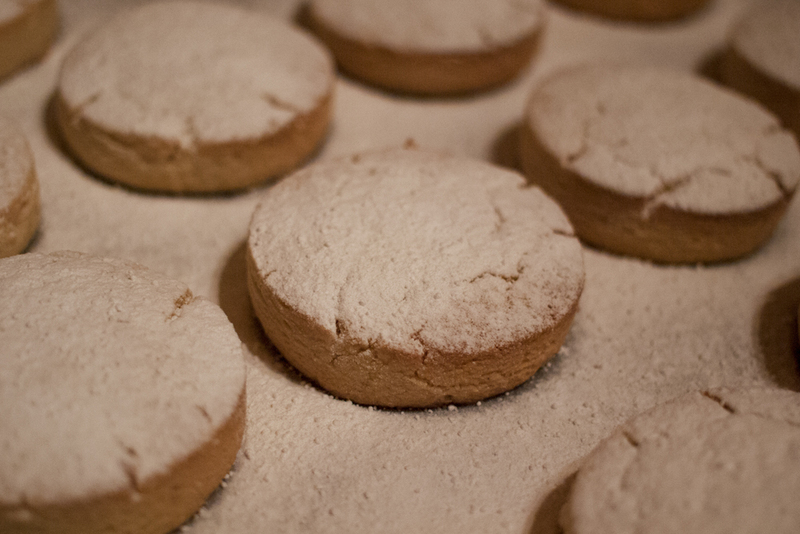 With all that white icing sugar like snow, the polverones looked perfect. Luckily, this recipe is so simple, even I couldn't screw it up. I'd recommend it on that basis alone. Sift the icing sugar and flour into a bowl and stir in the ground almonds and salt. Add the softened butter and very slowly rub the butter into the dry ingredients, using your fingertips. The mixture will be very dry to begin with but after a while it should begin to form a dough - similar to a shortbread mixture. Preheat your oven to 180C/fan 160C and line a large baking tray. As soon as the dough begins to come together, form it into a flattened ball and place between two sheets of baking paper. The dough will be very crumbly so you may need to press it together a little. Using a rolling pin, press the dough down very gently until it is about 2cm thick. Use a plain 4-5cm biscuit cutter to cut the biscuits and carefully transfer them to your lined tray. Bring the trimmings back together and repeat this process until you have used up all of your dough. You should get around 12 biscuits. 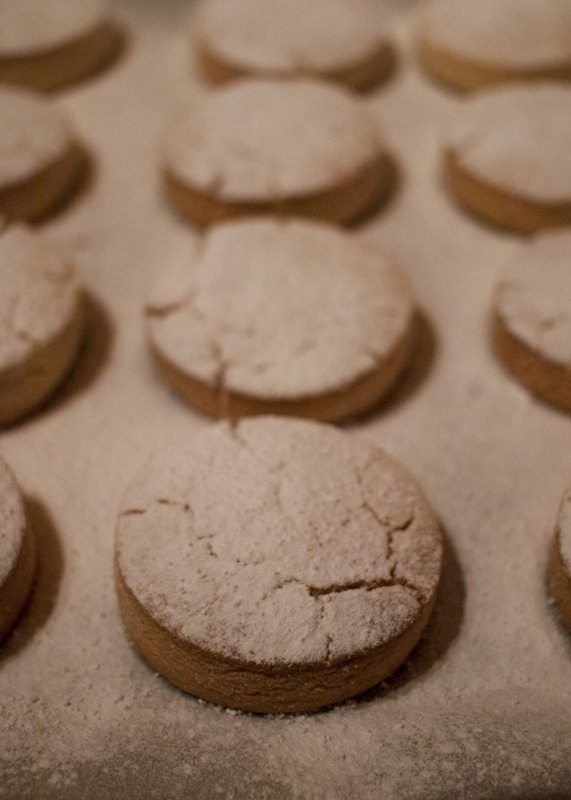 Bake the biscuits for 12-15 minutes or until they're just beginning to turn golden. They should be pale so don't let them brown too much. Leave the biscuits on the tray to cool completely. They'll still be very crumbly so don't even try to move them while they're still warm. Eden Project Festival of Light and Sound. October & November reading wrap up.